If we were to talk about broadband in India couple of years ago, we’d be quoting speeds of 2Mbps and 4Mbps as the desired or minimum that one should opt for. Fast forward to 2015 and the internet speeds in India have taken off and how! Getting a 16Mbps line isn’t out of question while 24Mbps is now actually an affordable option. Broadband players in India are upping their game with faster and more consistent lines along with a few surprises thrown in to keep the customers happy. Talking about customer delight, the FUP policy has also undergone quite a change in terms of download limits and even the cost of topping up your plan with more gigabytes of data. So, what is driving the growth? Apart from reduction in costs and newer technologies like fiber optic cabling, etc. The consumption is one of the key drivers for the growth of Broadband in India. Consumption in terms of more time spent on the internet and more number of devices per household that use internet access. This spike in demand for more speed (to feed to multiple devices) and higher data download limits has given broadband players enough reasons to offer faster plans and higher data limits. Apart from the rise in number of internet enabled devices, the content consumption pattern has also witnessed a drastic change. Streaming a 1080p (full HD) video is slowly becoming a norm, with devices carrying high resolution displays and fast multicore processors, streaming high quality videos has almost become a way of life. Similarly, online gaming along with multiplayer platforms has also lead to growth in demand for faster connections with good response time, fueling demand for higher bandwidth lines and fiber optic based connections. If we were to compare the speeds and data limit with pricing, the value for money quotient has almost doubled today. For the same money you get more than twice the speeds coupled with a generous FUP plan. For instance- Airtel currently is offering 16Mbps connection with 80GB of FUP for as low as Rs. 1899 per month along with unlimited voice calling benefits. Surprises and freebies are here! These are not just mere 1GB or 2GB packs but range upto 50GB and in some cases even more. There have been instances where people have got almost 70GBs worth of extra data over their current plan. In 50GBs of extra data one can watch almost over 14 hours HD content. And, the good thing about this is, this extra data capacity will remain with the user unless and until he/she decides to change the plan or discontinues the service! So, how do you unlock all these offers? Well, it’s really simple. Just go to the Airtel Broadband Surprise page and provide your DSL ID or landline number (along with STD code) in the box and submit and done. To know more about the terms and conditions of the Airtel Broadband Surprise plan, check this link. Given the sheer growth in terms of broadband users along with higher appetite for data consumption is expected to rapidly due to the connections speeds and unlike many developer countries which took time getting to high speed connectivity, India is well poised to leap frog the linear growth pattern and jump to affordable super high speed connectivity real soon. 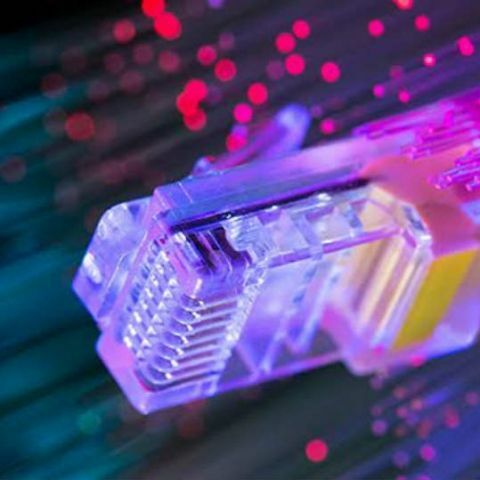 Thanks to availability and adoption of latest technology by ISPs, complemented by high demand and vast user base (that will bring in economies of scale), next-gen broadband connectivity is expected to grace India a lot sooner that you ever expected. How does a long-distance call work? Which TV Brand has Best picture quality in india?